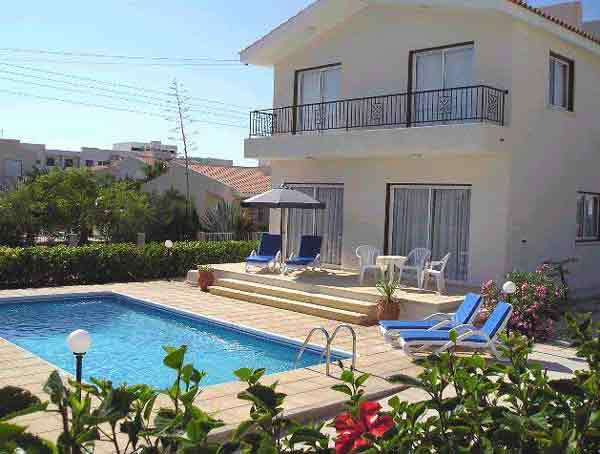 This is an attractive villa near the sea with private pool in Coral Bay, Paphos. There are 3 bedrooms, (sleeps 6-8 persons), 2 bathrooms and large patio. This newly built high standard Villa, is set in an exclusive development in one of Coral Bay's prime locations only 150m from the sea yet close to the village centre. 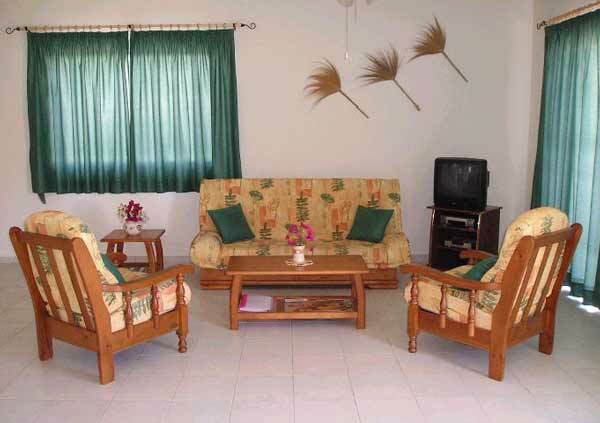 An ideal place for a relaxing holiday around a well-maintained garden and pool. 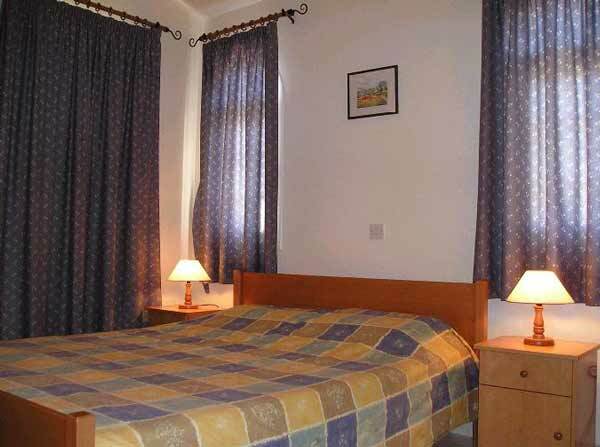 3 comfortable bedrooms are situated on the first level: a fine master double room with ensuite bathroom, 2 twin rooms and a second large bathroom. The ground level is spacious with well-appointed living and dining areas and a fully equipped kitchen. Coral Bay beach, the best sandy beach in the Paphos region, is very close by. Enjoy the many leisure activities in the vicinity (see list below), or take a Jeep safari to the nearby Akamas peninsula, a land of unspoiled natural beauty. Kato Paphos, the main tourist area, is a 15-minute drive with its pretty harbour and an excellent choice of restaurants, night life and shopping. While there, visit the renowned Archaeological Park and historical sites with the worlds' most famous mosaics. Coral bay is 10km north of Paphos on Cyprus west coast. It is close to all major attractions in the area: the Akamas park, Kato Paphos - the main tourist area, 3 splendid golf courses, an exciting water-park, the genuine ambiance of the traditional Cypriot villages around, and the clear air and magnificent views of the Troodos mountains which are about an hours drive away. Kitchen: 4 ring stove, freezer, fridge, hob, microwave, oven, washing machine. Iron and ironing board are also supplied. Bedrooms: 1 double, 2 twins singles. sleeps a maximum of 8 people All bedrooms have dressing tables and plenty of wardrobe space.They are air-conditioned for which there is a separate charge. Bed linen and towels are supplied and changed weekly, guests should bring their own beach towels. Outside: 8m x 4m pool, balcony, landscaped garden, parking, sun loungers and umbrellas. Local Activities: cycling, diving, fishing, golf, horse riding, paragliding, sailing, swimming, tennis, walking, water skiing, wind-surfing, Carting, Jeep safari.